Q:How can I merge short, iPhone videos into one video for a home movie? I have a bunch of move videos from my iPhone from the first year of my son and I would like to make a home video and merge all of them. There is a lot of them. Please let me know the fastest and easiest way to do this! Obviously, this is not the only one who asked the question about how to merge videos on iPhone. With the development and wide popularity of smart phones among which the most popular one is iPhone, more and more users now rely on iPhone to shoot a lot of short videos in daily life to record the memory moments. And then it will be inevitable to merge videos iPhone shot to a longer home movie. And let’s have a discussion on the fastest and easiest way to merge two videos on iPhone here. Step 1: Open iMovie on your iPhone, and then you click “Projects” on the top menu. And you can click “Create Project” icon to load a video. 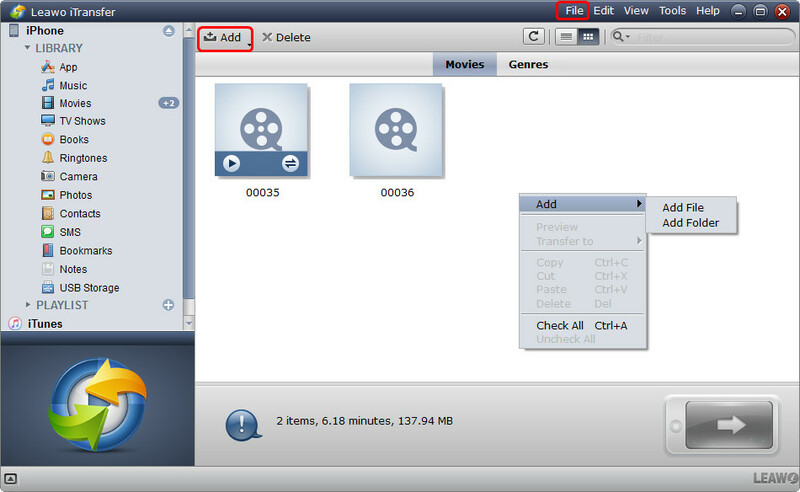 Step 2: Hit the plus button to add the video clip to your movie project. You can tap the “Media” icon and your video gallery will be loaded up. 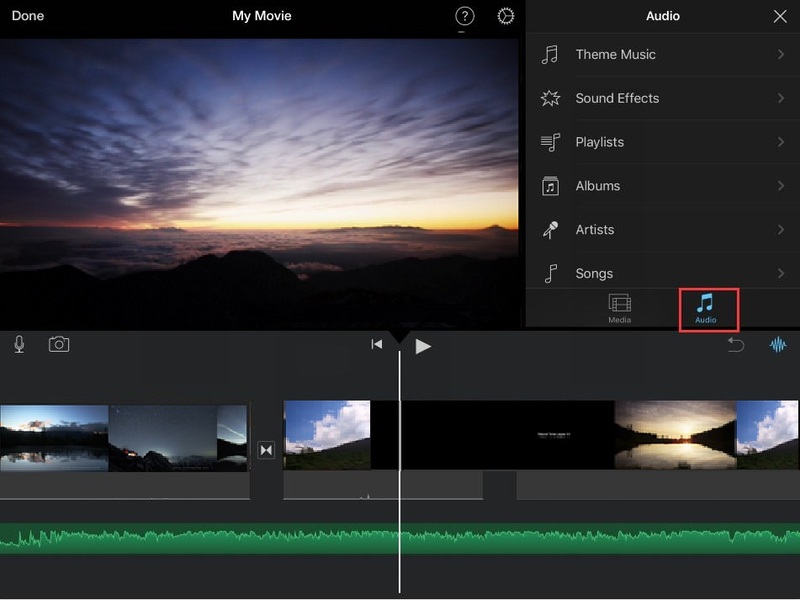 Then select the desired video and tap the plus icon to add it on the iMovie’s timeline. Note: In order to merge two videos on iPhone together, you should pay attention to the order they are arranged. 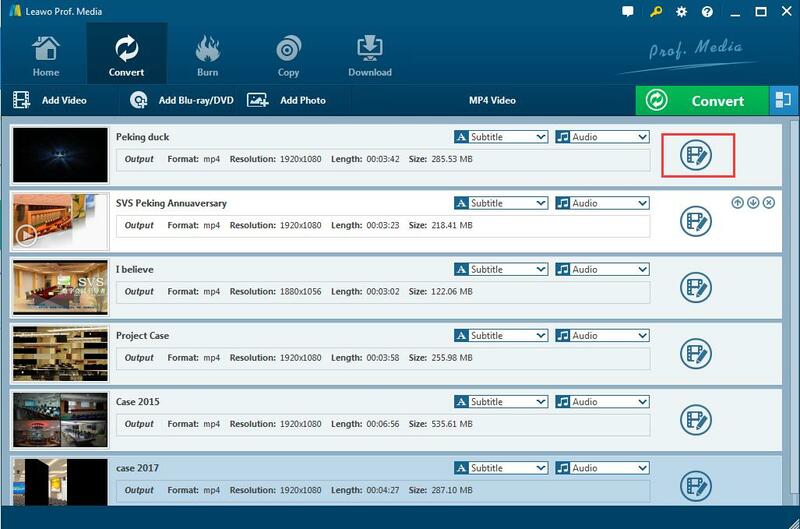 You can also add the background music you like to the movie you created by taping “Audio” instead. Step 3: Now you can simply click “Done” to finish the combination. And you will get the new merged movie immediately. 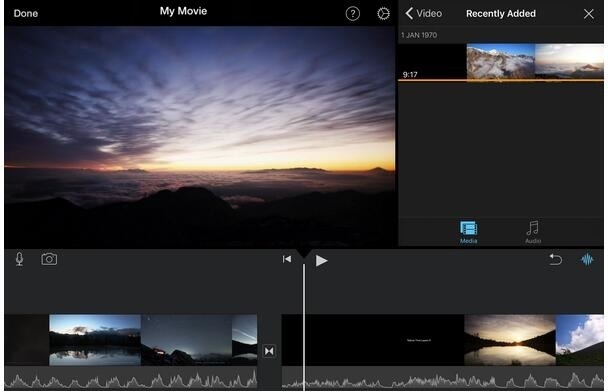 Following the guide above, you have known how to merge two videos on iPhone with iMovie. Then if your iMovie or iPhone cannot work, what should you do then when you need merge the videos iPhone? Actually, there are still another powerful tool that can merge videos on iPhone. 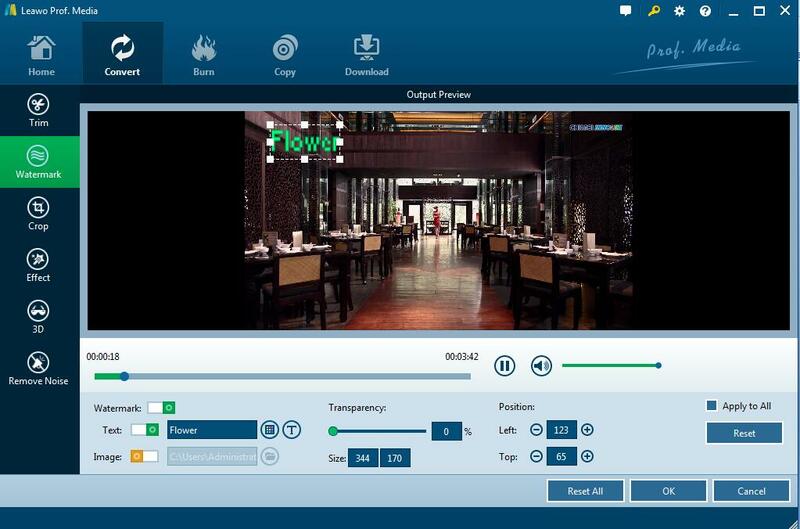 And one of the most popular tools is the Leawo video converter, which is a user-friendly and easier tool to be operated to merge videos iPhone because of its clean and clear interface. Download and install this video converter on your computer. 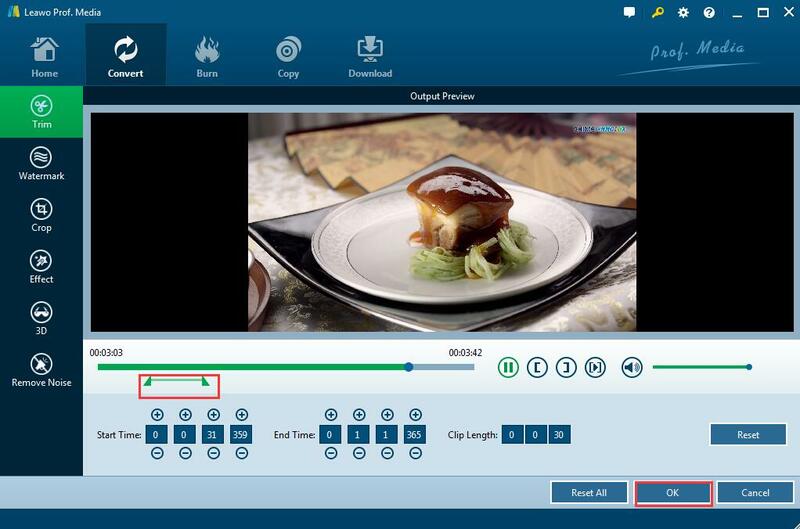 Get source video files ready and then follow the below steps to learn how to merge video files with this video merge program. Click “Add Video” button to browse the videos from your iPhone, and then choose two or more videos you prefer to merge together. 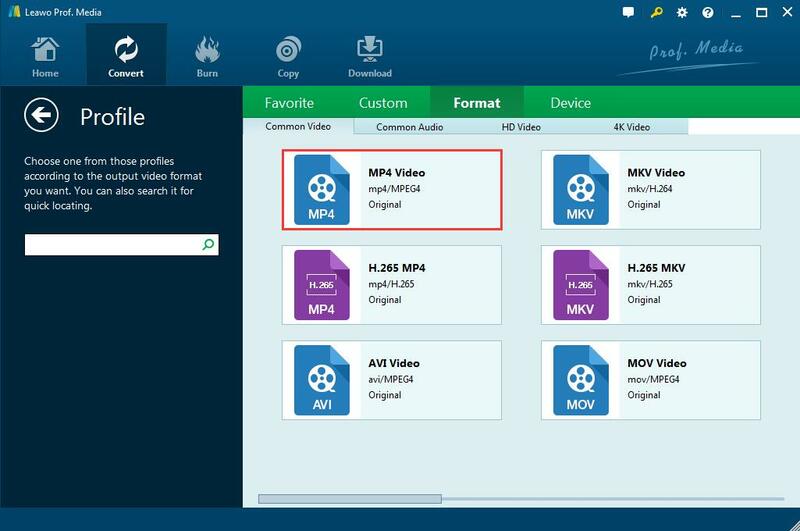 Open the drop-down box right before the green “Convert” button, click “Change” button to enter the profile panel where you can choose MP4 under “Format” group as the output format. 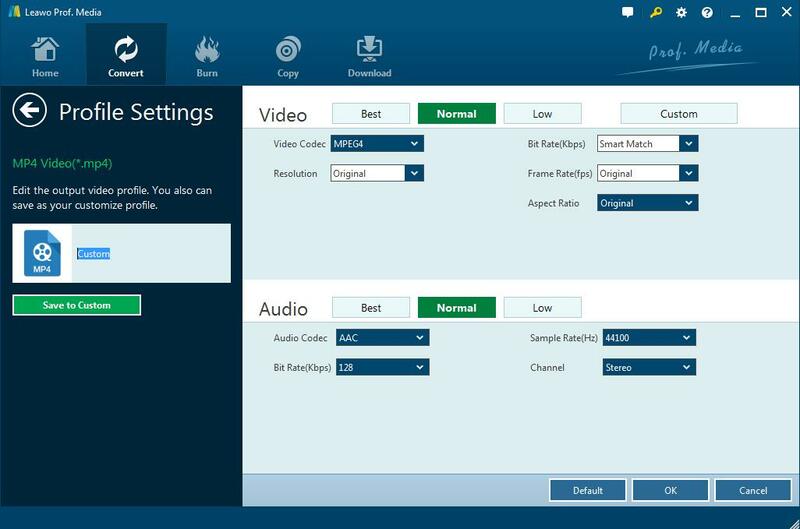 Return to drop-down box again, click “Edit” instead to enter the panel where you can set the video and audio parameters for the output videos, including video codec, bit rate, resolution and so on. Stay on the processing panel and click the “Edit” icon at the right of video title if you prefer editing the videos. 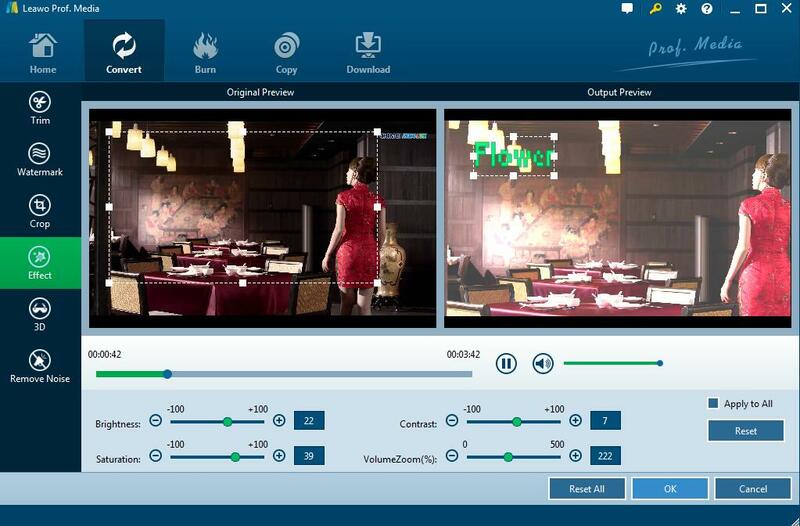 And then a real-time video previewing window will be pop up for you to edit and customize video for output. Trim the video length: You can drag the green slide bar to set video length directly, or input values in “Start Time” and “End Time” box below. Then you click “OK” to get the video clips. Add video watermark: You can add a watermark as your unique icon to the video. You can set text and image for the watermark as you like. Crop video size: You can drag the frame directly to crop the video size you like. Adjust video effect: You are able to set the effect like “Brightness”, “Contrast”, etc. of the video under the “Effect” section. Then you can check “Apply to all” to apply the effect settings to all of the imported files. After editing the videos, you go back to the main panel to make sure that all the videos are in the right order you need. Then you click “Merge all files to one” button next to the green “Convert” button. Click the green “Convert” button to pop up a sidebar where you can set the output directory to save the merged video. Click the “Convert” icon at the bottom of the sidebar and start converting and merging all the videos together. 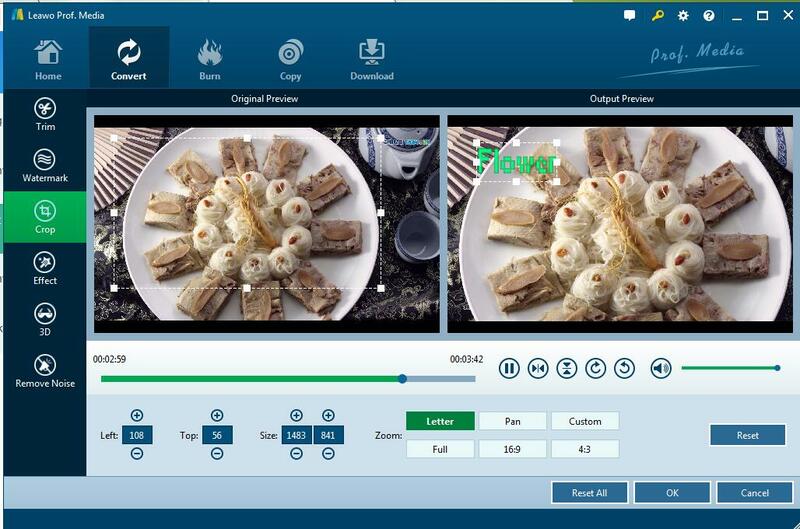 And you will get the merged video in seconds or minutes in accordance with the size of the video. 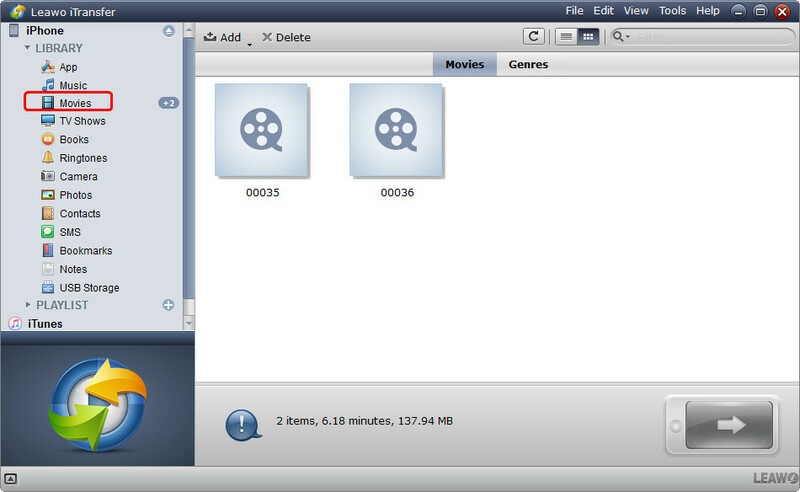 Since you have get the merged video on your PC, now you can easily enjoy those video clips like watching a movie. If you are intended to watch the movie on your iPhone, you need to transfer the videos to iPhone directly with iTransfer which is one of Leawo tools that allows you to transfer files among iOS devices, iTunes and PCs without worrying about the sync of iTunes and the sizes of your video files. Click the following button to install iTransfer on your computer. Step 1: Connect iPhone to computer with the USB cable. Start Leawo iTransfer and connect your iPhone to the computer. And then iTransfer will show the libraries of your iPhone in the left sidebar. And you will find the videos in “Movies” section. Click “Add File” button to import video files from computer. 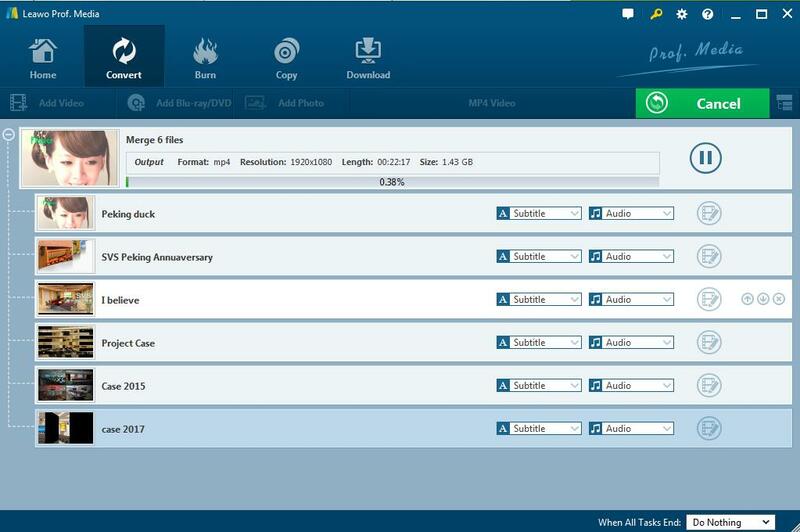 Or you can add video files from your computer by clicking “File > Add > Add File/Add Folder” at the upper right corner of the window. Select the merged videos you want to watch on iPhone, and iTransfer will start transferring the selected videos from PC to iPhone. 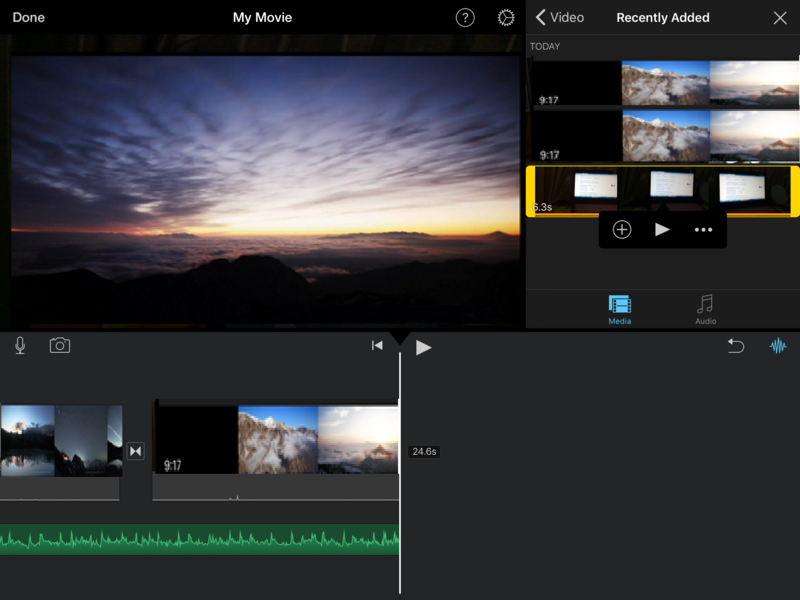 Anyway, iMovie will easily help you merge videos iPhone when you have the App. And Leawo video converter will help you merge videos together on iPhone as well as converting the videos to other formats so as to playback on other devices. And iTransfer will allow you to transfer easily transfer video from iPhone to computer or iTunes, as well as other data and file types like pictures, messages, notes, etc. With the software mentioned here installed, you will never be trapped by the problem of merging videos. 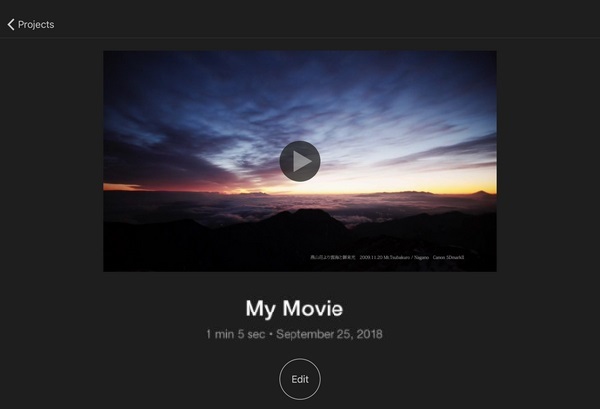 You will be skilled at how to merge two videos on iPhone or merge any videos together to get your beloved movie freely and easily.